A powerful and intriguing Moroccan rug. Thick knotted wool with a high soft pile. Incredible patterns. The checkerboard bands are a symbol of masculinity. 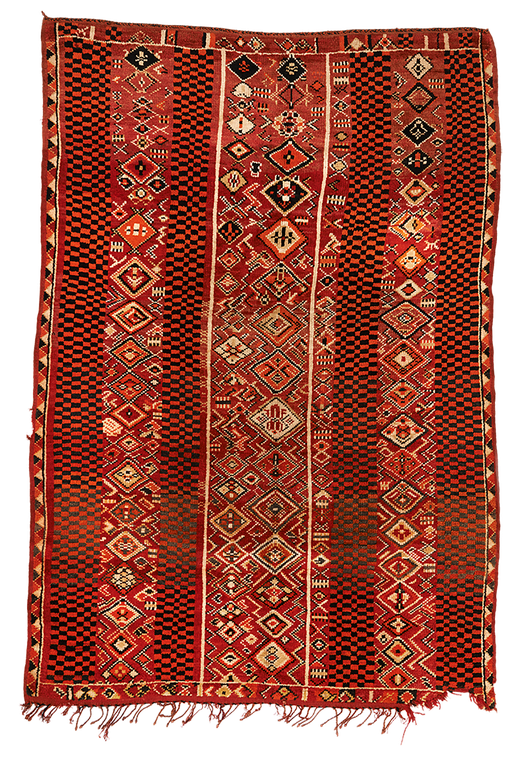 This is an unusual one-of-a-kind tribal piece from the Middle Atlas mountains. The lower right corner is very worn.